Just had a bay window installed in our house, it looks wonderful and the process from start to finish went very smoothly. Any time I had a question our sales rep was very easy to contact and the installers were on time and did a wonderful job! I am very pleased with my choice for allowing pioneer windows and doors to do the job. 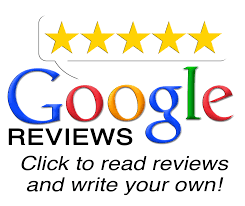 Their products were of high quality, great customer service and reliable team, because of this I would very much so recommend them to family and friends. Thanks again Pioneer! I have used this company in previous years and would highly recommend them. High quality products and great service is what keeps me coming back! I will definitely be using them again for more windows, already had all my doors done by them. JUST HAD ALL MY WINDOWS DONE WITH PIONEER, THEY WERE GREAT, NASH WAS A GREAT INSTALLER, CLEANED UP AFTER AND SHOWED ME HOW TO CLEAN THE WINDOWS, ALONG WITH THE SALES REP. HE WAS GREAT TOO, CAME BY TO SEE THE FINISHED JOB, OVER ALL I HAD A GREAT EXPERIENCE WITH THIS COMPANY AND WOULD HIGHLY RECOMMEND THEM. Pioneer just did my front door, and a patio door, looks great, the installer was very nice and helpful, as well as my sales rep, and best of all i got a great price, i shopped around for quite some time and pioneer definitely beat all the competitors! great job pioneer did, i had all the windows replaced in my house so it was a big job, but they did a wonderful job, the installers were right on time and cleaned up after themselves, thanks pioneer. From start to finish this company was very professional with a personal touch,NO pressure just to sell any product to you, their products are first quality at competitive prices and any issues or queries that arose they were there to help right away. I will recommend this company gladly to any one who wishes to have doors or windows replaced and I am a challenging person to please. Daniel and his team were amazing. We replaced our main floor windows and doors and have had many of the neighbours stop by and comment on how great a job they did. The team were very attentive to our specific needs and stuck by their commitment on delivery and price. No issues at all. I would highly recommend them for anyone looking to replace doors and windows.